WAY POINT ONE/FIRST RESPONDERS - 2nd & 4th THURSDAYS: Meets June 28 at 7 pm in Room 138. This is an outreach serving current and former law enforcement, fire, EMT and military personnel and their spouses. 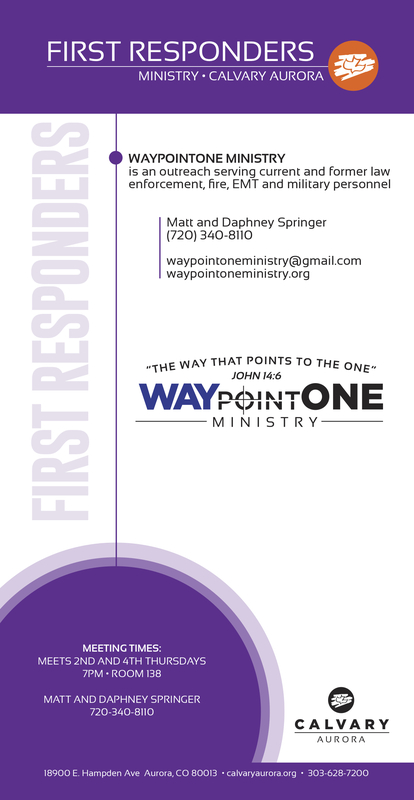 Contact Matt & Daphney Springer at 720-340-8110 or , or visit the website at waypointoneministry.org.